The PC gaming accessories giant is expanding its lineup by introducing both a new virtual reality headset and wireless streaming service dubbed Forge TV. 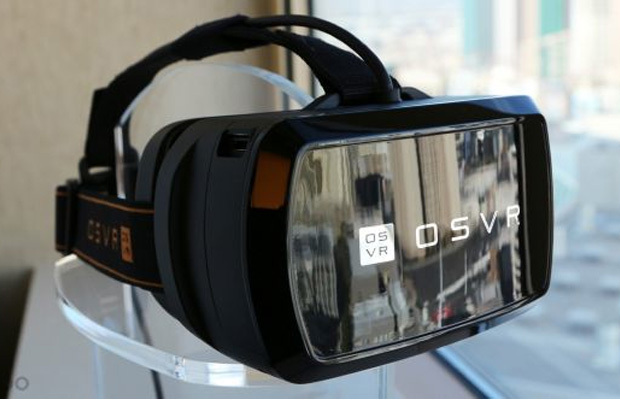 The company is working with Virtual Reality firm Sensics on the OSVR Hacker Dev Kit with an estimated shipping window of June 2015. Both hardware and software will be open-source and developed by Razer, with the headset supporting Unity 3D, Unreal Engine, and several plug-in devices. Pricing is set at $200 at the moment. Forge TV is said to offer “cutting-edge performance” and boasts a number of innovative features: including a quad-core processor, “gaming-grade” graphics, 16GB of internal memory, and wireless and network connectivity. Users will have the luxury of playing Android titles from Google Play on their TV. Razer Store – $39.99/€34.99 – beta release Q2 2015.